The Products has been sent by the brand for consideration. Views, Opinions and Conclusions are my own and derived after usage of 6 days. Compensation is received in exchange of the review. Whisper India has launched a new revolutionary Sanitary napkin last week. You can read details about the event here. I received the product a week before the event though I knew Aunt Flo would not return this month before 24/25th, I waited for her arrival and in anticipation. What the new Whisper Ultra Clean does? ~ Revolutionary 1000 suction Holes that absorb up to 100% wetness. Price for New Whisper Ultra Clean: 80 INR for 7 Sanitary Pads. My first brush with the product was the fragrance; a mild floral scent that instantly takes effect. I have always been an Ultra Girl and Whisper was my saviour during school days when I actively participated in sports. And never in my life, had I faced leakage issues in public. No such Embarrassing moments for me! And the worth mentioning part, I had NO rashes as the top sheet ensures comfort. And with the New Whisper Ultra Clean, I could carry myself with ease even during those 5 days. And I am really pleased with them for changing the top sheet. This one is more comfortable and soft on the skin. My first stark address would be about the Top Sheet. The new improved napkin is soft and more comfortable than ever. And the R&D expert was right about the 1000 suction holes since it reduces wetness up to 100%. And yes, I did sense dry/normal feeling with negligible wetness. The New improved Whisper Ultra Clean is so for the lengthiest napkin, I have used from the Maxi Range. Wings just help the napkin secure itself, and so far it has been an integral part of using a Sanitary Napkin. About the odour control, New Whisper Ultra Clean locks the odour and the floral fragrance is intact even after hours. New Whisper Ultra Clean fulfils all the claims they made, discussed and explained us at the event. 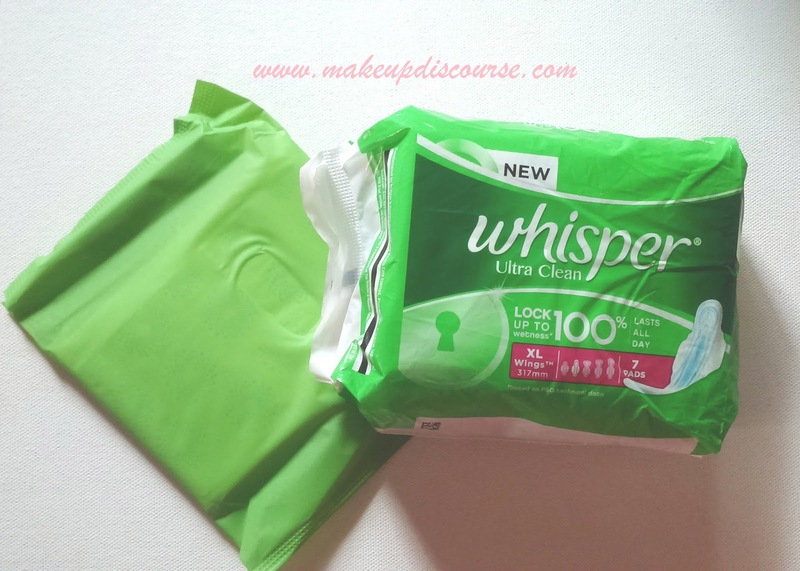 To be outright, I never paid heed to minute details with respect to a Sanitary Napkin with slight or major difference until I had to review the New Whisper Ultra Clean. Because, I get rashes no matter what I use. Though every woman needs something extra, these 5 mentions are basic ideas of a sanitary napkin that meets the basic requirements. I would like to add, Changing Sanitary Napkin every 4-5 hours is mandatory. And keeping a Period tracker handy in your phone or journal is great way to audit your health. You can claim your free sample HERE.